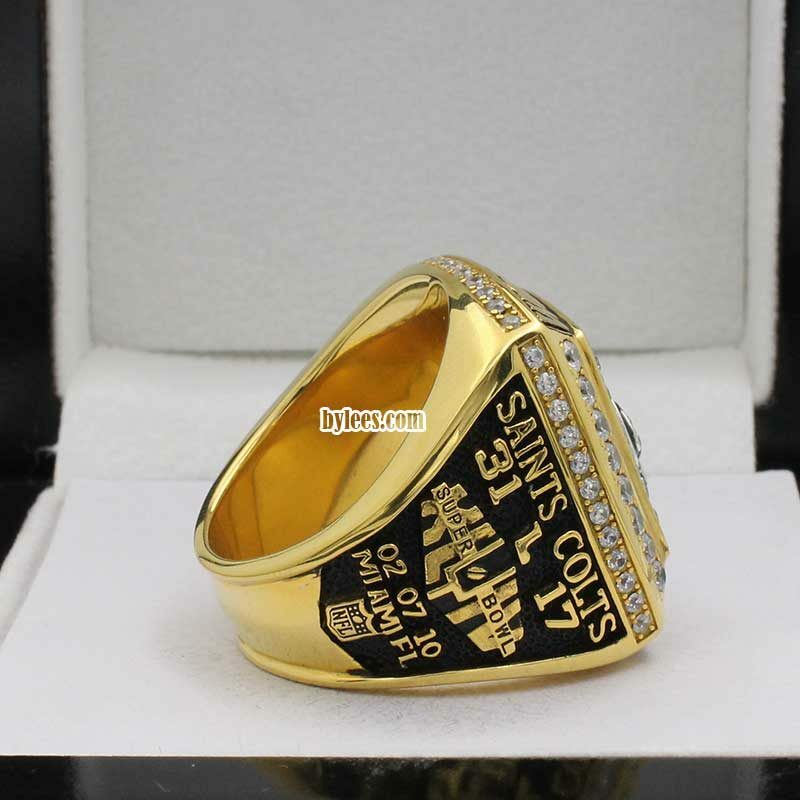 The New Orleans Saints Championship Rings, were presented in honor of the team’s first ever Super Bowl victory since 1967. 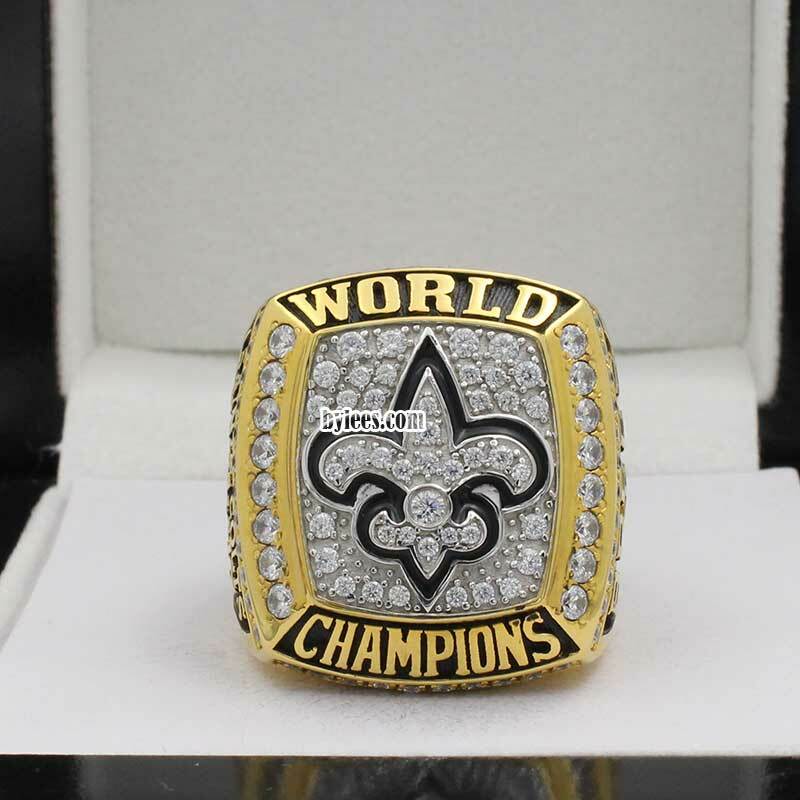 It is almost 42 drought. 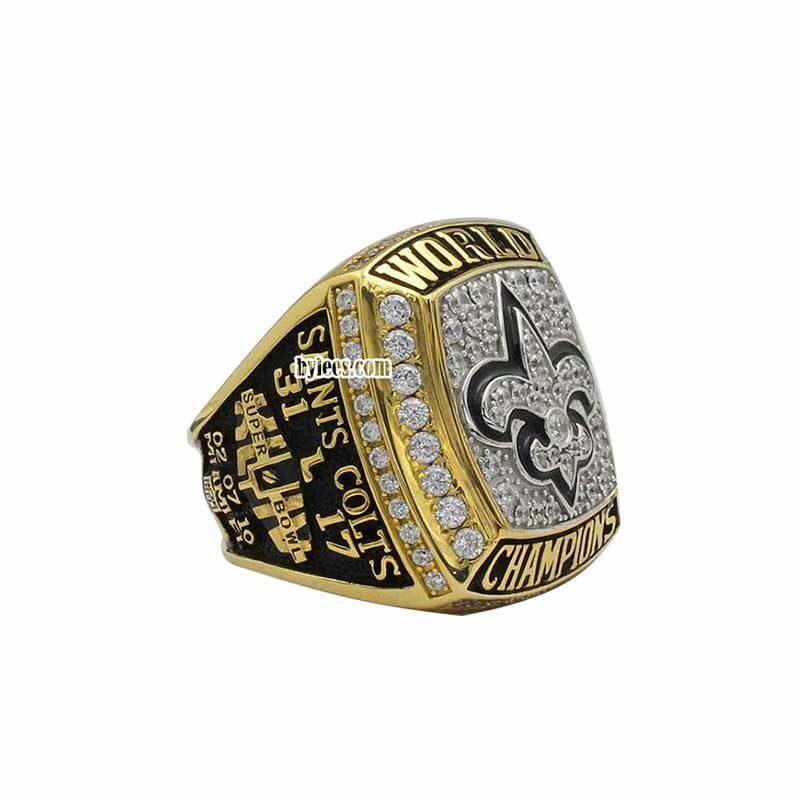 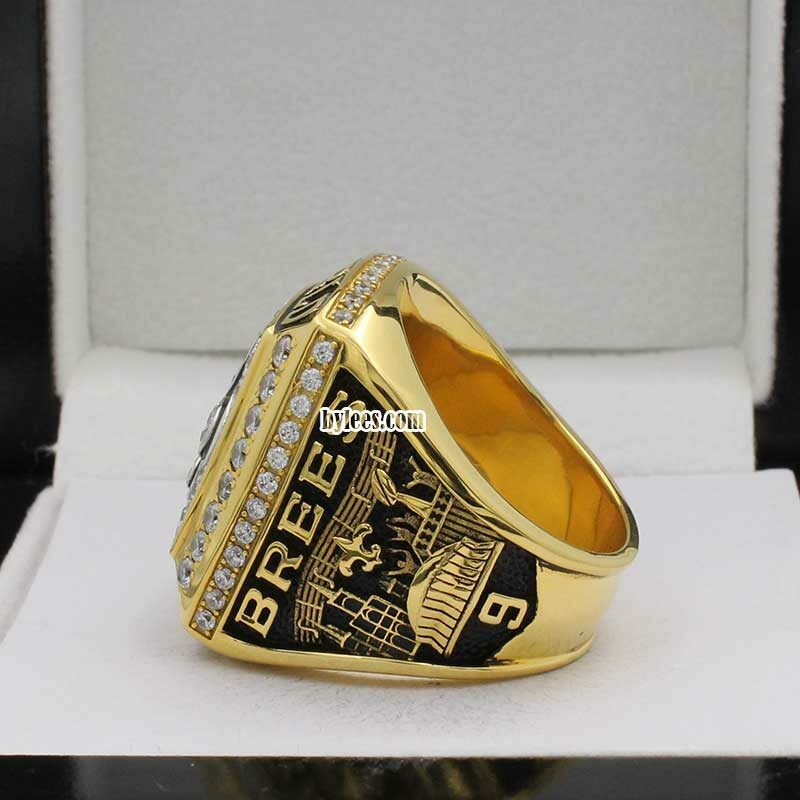 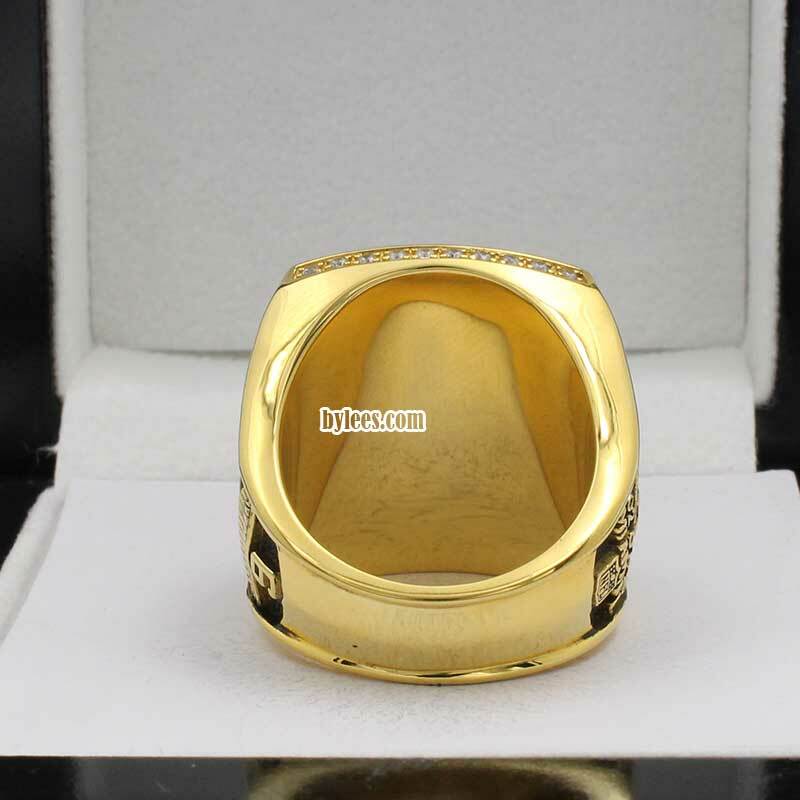 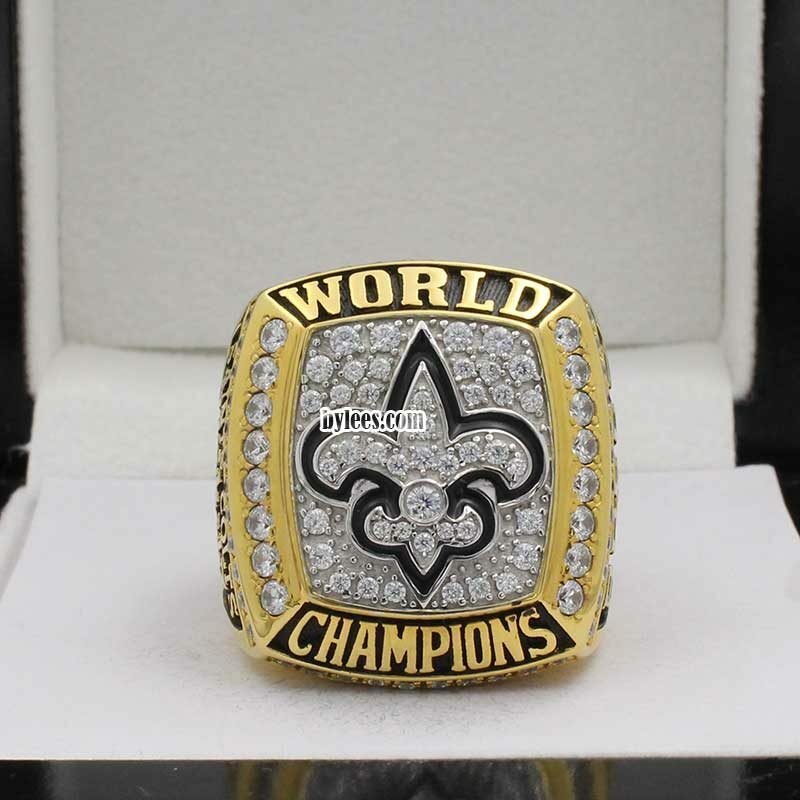 and finaly in the Jun.16th, 2010, The Saints receive their Super Bowl XLIV Championship rings at a ceremony at the Roosevelt Hotel in New Orleans. 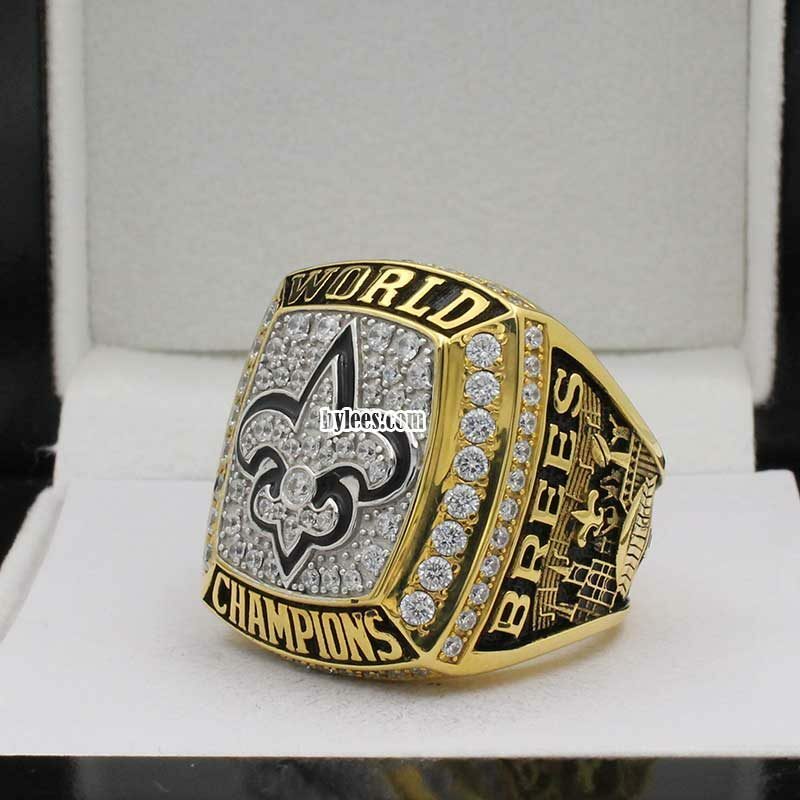 as a fan of the saints, If you may never forget the great moment either the Super bowl XLIV match or the Ring Ceremony. Drew Brees,the MVP of Super Bowl XLIV, tweeted his super bowl ring on finger with his wife that night.On the top of the ring, you can find the New Orleans Saints Fleur-de-Lis logo with the World Champions title. 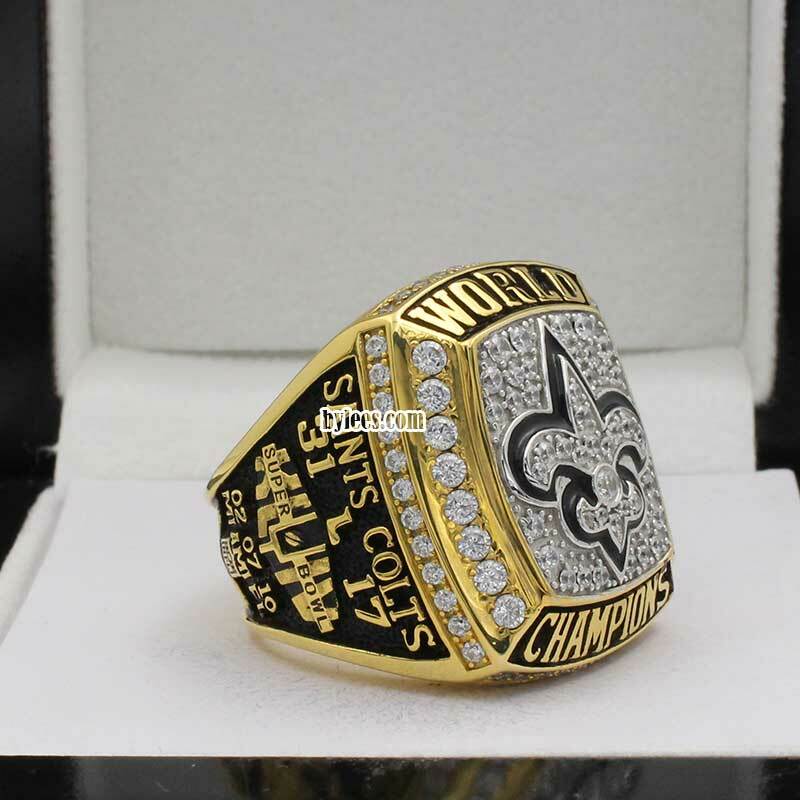 the shanks features the images of two New Orleans landmarks, The St. Louis Cathedral in Jackson Square and the Louisiana Superdome, as well as the final score of Super Bowl XLIV (Saints 31-Colts 17), and others personalizations.